After 2014 success and feedback, we as a inner circle of four, myself Doug Crouch, along with Adam Stone, Alex Ryberg, and Adam Peterson, decided to once again put on this festival in order to enact our communities need to pollinate further. The festival draws on workshops and music lineups of various genres to bring a diverse crowd together. its aim is not just a party, but rather an experience, one ripe with opportunity to learn and interact and develop oneself and link within their community. We provide the space and the framework along with you and then we expect our community to support through buying tickets, proposing workshops in a timely manner and actively participating. And this is what happened again this year, a good-sized crowd converged on my families land for a weekend in late June where the weather gods smiled on. After months and months of preparation it happened. Living in Portugal the last year gave me a different role in the major stages of the buildup until the last 3.5 weeks. That is when i returned to Ohio/ Kentucky after another year in Europe. we did our best to communicate from a distance and the crew beautifully led the festival to a new height with me in more of a supportive role until the end. This year more workshops, more music, more food, more vendors, and more days on the land. Which all amounts to more connection and fun. We did renewed marketing, poster distribution, lots of talking it up and even farmers market sales after our indigogo outreach. Treasure Fest which featured the local band called Visitors Parking. They also played during Pollination Fest but two weekends before at Treasure Fest they led a bit of a reunion with other past members who had also went on to form new bands. It was a great time and gave me the impetus to get a few things together and work out a few kinks of having big crowds of people on the land and at the bar. It was of course a late rush to get it all together but with all of us also having other commitments, this side job then became our main focus. Many friends helped before, during and after the festival including my family. Without this volunteer help it would be impossible to do such as this and i want to express a big thanks to all of those people and my other festival co-founders. The festival went on with beautiful weather compared to all that was around us as we worried with the pre festival forecasting seemingly checking every six hours. And the forecast in the end was for Cincinnati, not Petersburg when on Friday the rains held out until around 2 am Saturday morning. The crowds starting rolling in on Friday and as workshops commenced and sound equipment was staged. Folks began doing the workshops on yoga and natural building, kids natural discoveries and ecology walks. It was great to have good friends Ande and Lauren Schewe involved with their booth and fun presence in workshops like Ande’s Friday Adult Eco Wlak and the same for kids on Saturday. The sunset yoga and night hike allowed people to ebb and flow with the workshops and music. Both of those workshops were well attended and got rave reviews. forest across the lake from the workshop space days earlier. Thus a group of guys with my old toyota truck went for the hard work of carrying the logs to where truck access ends at the spillway. After his initial explanation folks got busy with inoculating the logs. Although it was due to end earleir, Romain and a group of dedicated folks helped to finish it all. It gave even more options to people as the day ramped up with workshops on yoga, sustainable knitting (very well attended), food fermentation and more kids fun with walks and cooking. As the day progressed our world famous pizza operation came full force with Michael Beck and poosh.org crew filling in for me. I am not sure if it is the oven I built in 2012 that makes them so good or our commitment to all organic ingredients but they were once again a huge hit. And what is a Pizza in the tristate area if it is not topped with fab Ferments spicy dill? Everything is fabulous after all. With pizzas rolling out of the oven, cob bench being plastered, yoga abounding, and ecology tours flowing the musicians starting pulling up and getting the musician vibes underway. We began hosting touring bands like David Wax Museum, Kansas Bible Company and the go arounds. They took over as the workshops ended and gave the crowd a rockin good time. To see the circle form in the bowl in front of the main stage and then morph into a spiral was an epic moment that David Wax Museum helped to create. And then the loud and boisterous tunes of Kansas Bible Company had people dancing and sweating out a good time. Once the bar closed last night some drum circle vibes could be felt and enjoyed around the campfire. Just a few hours after leaving the campfire i woke to open the bar and get my head around giving a tour. Last year i wasn’t a presenter and had requests from the festival goers to present on the land and what we had been doing there. Having been trained in Fish and Wildlife management, I have been doing Ecology work for 15 years there coupled with Permaculture work over the last 10. I explained this fusion and had a grand old time leading about 20 people around on the south banks and into forest after crossing the dam wall and its spillway of the 15 acre lake. I really appreciated the space as the informal tour i have given many times is usually on the northern shores and doesnt get as inspired as i was that day. People were really engaged with some questions here and there and attentively observing and interacting with their landscape. 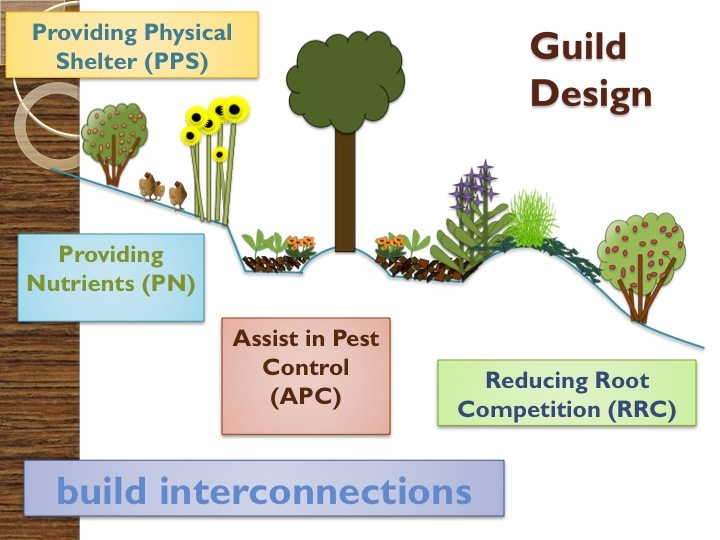 It was fun to tapk about layers and show how we are working with the invasive species and over abundant natives to reform the architecture of the forest. Cycle all that carbon back into soil and food and the abundance that follows for both humans and wildlife. Good friends Ande Schewe and Ryan Doan attended the walk and i was quite honored by their presence and glad they were able to chime in now and then and allow me to catch my breath here and there. We ended up in the deep wood and with the morning sun finales tarting to warm the air we were all glad the forest grew, cooperatively and creatively. Thus sundays energy rolled on with people awaking and participating, packing and cleaning and sharing stories of the weekend. People were connecting and planning their next meet ups exchanging contacts and giving goodbye hugs. Once again the vibe the whole weekend was beautiful with people visibly moved by the land and the ambiance of the festival. I am proud to have been part of this community event and and thankful to the circles and waves of people who made it possible. Big thanks as well to my families history of stewarding the land for 31 years and my family letting me launch this dream last year and continue it this year. Their non stop work also allowed me to enjoy the festival not just work the whole time. It was a good time and glad to be apart of this community service, connecting people, spreading seed! Thanks again for all who came, supported and contributed their energy.